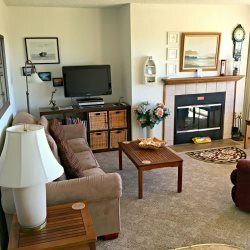 Hi-Tide Ocean Beach Resort is situated directly on the beach in Moclips, 18.6 miles from Ocean Shores. The accommodation is equipped with a cable flat-screen TV. All units have a dining area, deck/balcony and fireplace. There is also a kitchen, fitted with a dishwasher, refrigerator, stove and oven. A microwave, toaster and coffee machine are also offered. Each unit features a private bathroom with a bath or shower and free toiletries. Bed linen is provided.